So Cal Plumbing Heating & Air Conditioning provides world-class residential plumbing, heating and air conditioning services in Los Angeles and South Bay area. We offer the skill, expertise, technology, and customer service that your home and property requires. From your kitchen sink to your garden hose taps and everything in between, So Cal Plumbing Heating & Air has you covered. We do repairs, upgrades, and installation of all plumbing and gas lines around your home. • Emergency Service – So Cal Plumbing Heating & Air is available 24/7 for all of your plumbing emergencies. With over 15 years of service, we will have your home back to normal in no time, so you can relax. 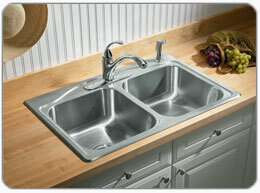 • General Repairs – So Cal Pluming Heating & Air can provide all necessary plumbing repairs and installations. • Sewer and Drain Experts – Trusted by many home owners throughout the Southern California area, So Cal Plumbing Heating & Air can properly diagnose and treat any of your sewer or drain problems. Prevent costly repairs with a state of the art fiber optic inspection. The skill, expertise, and technology at So Cal Plumbing Heating & Air will save you money in unnecessary digging and repairs. Our trenchless pipe relining technology can save your lines without digging! 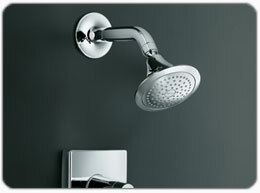 • Hot Water Heaters – Do you have hot water when you need it? A continuous flow hot water system may be exactly what you need. Providing hot water on demand, taking up less space, and lowering your monthly water heating costs makes upgrading to a continuous flow system, a great return on the investment. • Water Conditioning – Water softeners to purifiers, So Cal Plumbing Heating & Air Conditioning will ensure you have the cleanest water in town. • Plumbing Fixture Repairs and Upgrades – For any upgrades or repairs to kitchens, laundry rooms, bathrooms, and other plumbing fixtures, So Cal Plumbing Heating & Air has you covered. • Pipe Maintenance and Installation – So Cal Plumbing Heating & Air Conditioning can assist you with all of your pipe maintenance, repairs, and new installation. Leak detection, replacing copper or other lines. • Backyard BBQ – Speak with a customer service representative at So Cal Plumbing Heating & Air Conditioning today about saving you money in gas bottle exchanges. Have a gas line installed for your backyard BBQ. • Backflow Prevention – So Cal Plumbing Heating & Air provides new installation and repair of all backflow prevention devices. Contact So Cal Plumbing Heating & Air Conditioning today and speak with one of our highly trained professionals for your plumbing needs in the Los Angeles and South Bay Area. 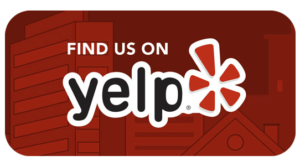 For all your home’s plumbing, when you want reliable and professional plumbers with satisfaction guaranteed service, call and speak with So Cal Plumbing Heating & Air today.